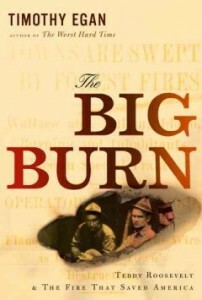 A dramatic page turner, The Big Burn delves into the great fire of 1910 that consumed nearly three million acres in just a few days. From the overmatched rangers to the citizens caught in the inferno as well as the politicians whose policies and arguments both fueled and fought the fire from a distance, we learn vivid details of the lives of those affected. This is also the larger story of outsized president Teddy Roosevelt and his chief forester, Gifford Pinchot. Pioneering the notion of conservation, Roosevelt and Pinchot did nothing less than create the idea of public land as our national treasure, owned by and preserved for every citizen.